Nick Jensen, also known as Nick Brick, plays games almost as much as he builds LEGO. He's probably most well known for replicating gaming weapons and equipment at 1:1 scale. He is a member of ChiLUG and attends Brickworld Chicago every year. You can follow his LEGO work on Flickr, YouTube, Twitter, and Facebook. Games in the Titanfall universe are some of the best first-person shooter games I’ve played, and the surprise free-to-play battle royale Apex Legends is no exception. 20 squads of three enter, one survives, making for a tense spinoff game. My favorite sidearm from Titanfall is the Wingman revolver, and it returns in Apex with increased effectiveness. So, of course, I just had to create a LEGO Wingman for the LEGO gaming arsenal. 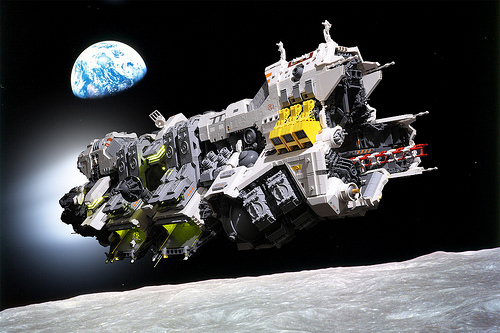 Years in the making, Blake Foster presents one of the finest examples of LEGO spacecraft masterwork with the Ugly Duckling Long Range Research Vessel. It’s a rare achievement; it boasts impressive measurements at 168 studs long, 47 studs wide, and 45 studs high (approximately 52.5×14.5×14 inches), yet its size doesn’t prevent Blake from carefully considering every stud on his craft inside and out. Pharah is such a unique character in Overwatch, combining the classic rocket launcher/jump jet pairing with a futuristic armor suit influenced by Egyptian culture. The team at Build Better Bricks has built an impressive LEGO sculpture of this formidable flying hero. Their model features outstanding attention to detail in her blue armor with gold embellishments throughout and detail in her partially exposed face and braided hair. 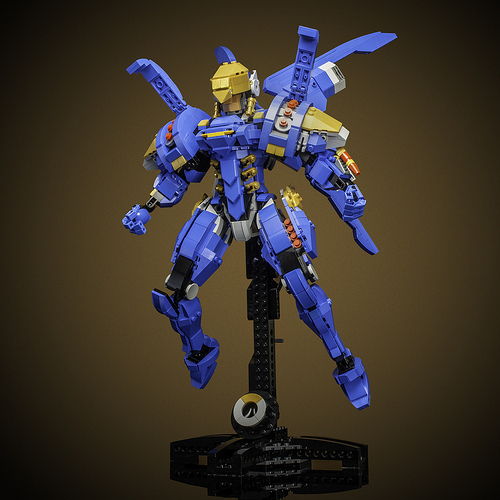 B3’s Pharah model is fully articulated to duplicate several flying poses from the game. My favorite is the Ultimate pose, which reveals rocket salvos primed to rain justice from above. Also notable is the clever, compact build of the Overwatch logo on the display stand. 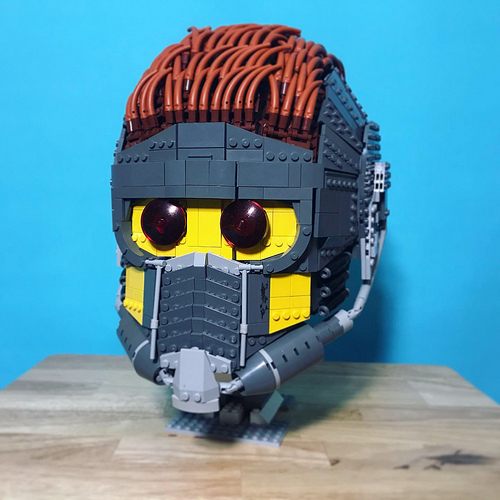 The legendary outlaw Star Lord of Marvel’s Guardians of the Galaxy is brought to life in LEGO with a replica of his helmet built by master of LEGO cosplay Brickatecture moc industries.The face mask is perfectly shaped and detailed to be instantly recognizable from the Marvel Cinematic Universe and comics. The brick-built hairstyle is an interesting choice that works well. 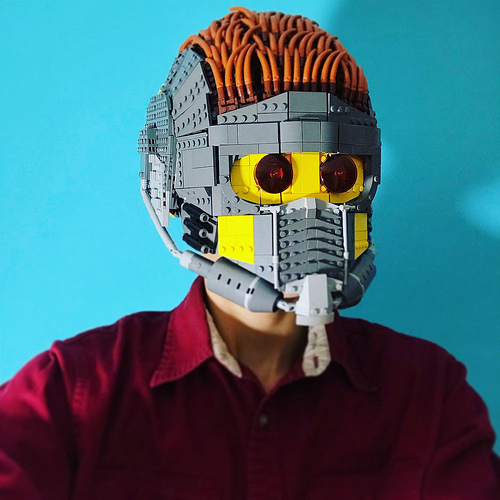 Of course, like Brickatecture’s Venom mask, the Star-Lord helmet is hollow yet sturdy, making it wearable by its creator. 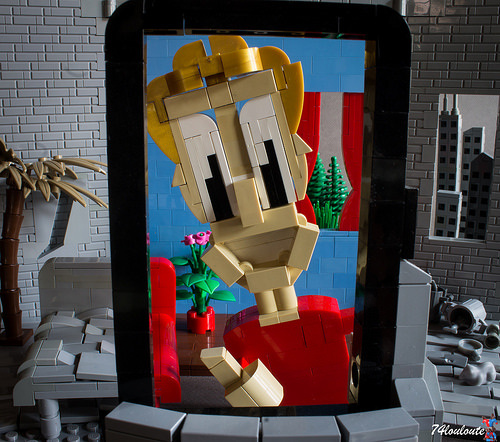 Framed in just the right way, any life can seem interesting on social media, as shown in a LEGO scene by Arnaud B. The build and shot are quite clever in this artistic social commentary, with the phone frame hiding the seams between grayscale “real life” and full color “Instagram-filtered life” perfectly. One of the most fun games I play with friends is Tom Clancy’s Rainbow Six Siege, a tactical multiplayer game of attack and defend resolving bomb defusal or hostage situations. In the attack phase, I like playing as French GIGN operator Twitch, who is equipped with her own hand-crafted camera drone outfitted with a taser. To show some love for this game, I built the Shock Drone with LEGO in 1:1 scale. The bulky design of the Shock Drone compared to other operators’ standard camera drones allowed enough room internally for Power Functions. 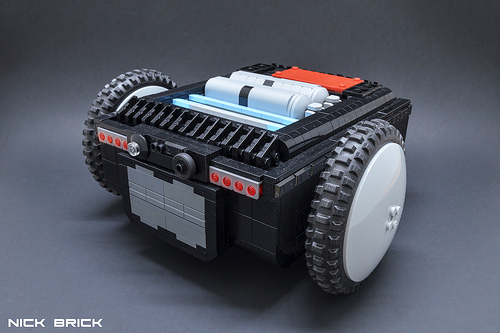 Each front wheel is powered by a motor and controlled by SBrick, which, just like in Siege, allows me to control the drone with my phone. You can see it in action, as well as a glimpse at the internals and a gameplay comparison for those unfamiliar with Siege, in the video below. 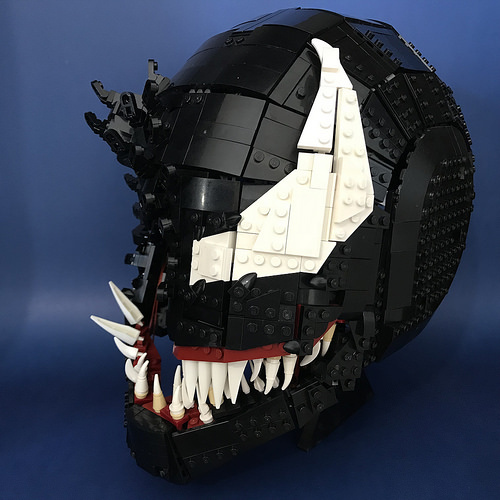 The symbiotic anti-hero Venom comes to life in LEGO bricks in a lifelike replica helmet/mask built by Brickatecture moc industries. 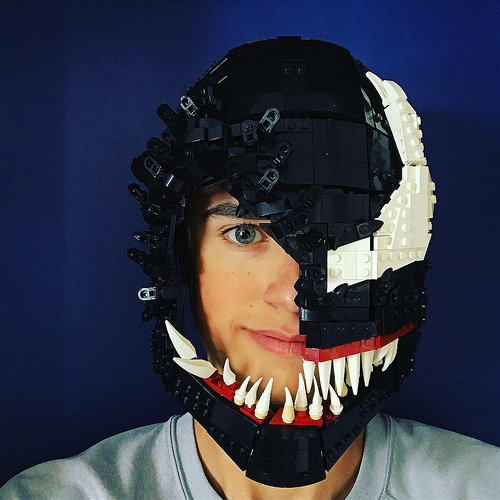 Shaping is on point in his interpretation of Tom Hardy’s Venom, with tooth plates adding a bit of texture to the jawline and eye. What makes his Venom mask interesting is the open right side, revealing the symbiote’s host face underneath. It’s a smart decision that adds a lot of character to the build, and shows off the model’s true scale as a life-size mask. The 2016 reboot of DOOM was a fun time blasting demons back to hell with a heavy soundtrack and big guns, as it should be. 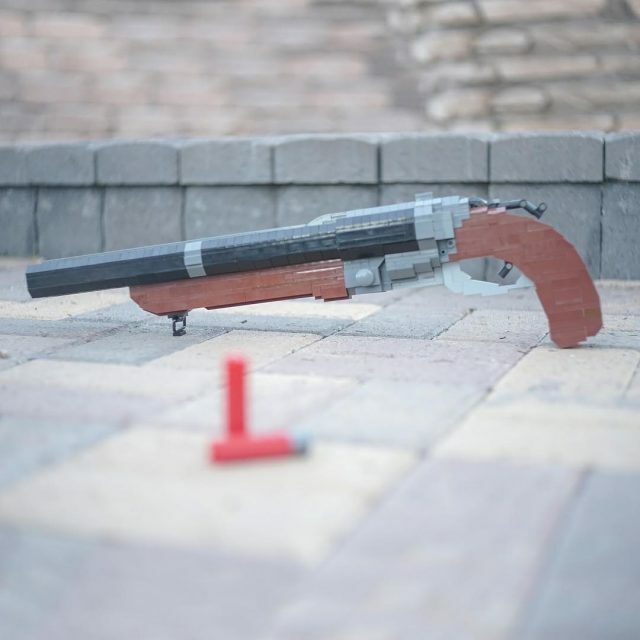 Kyle Moore shows some love for one such gun with a LEGO replica of the Super Shotgun. 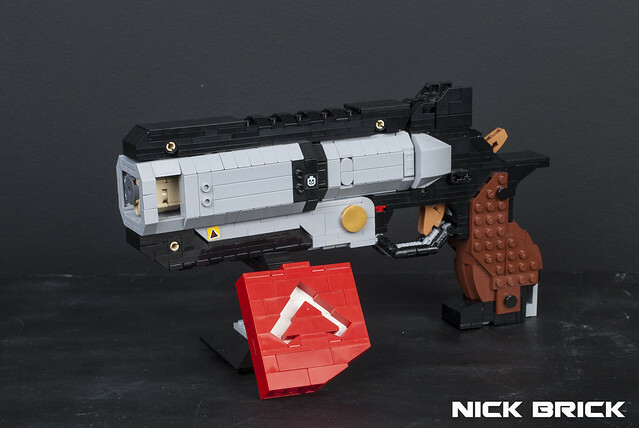 The timeless double-barrel design translated into bricks appears straight out of the game. Kyle’s Super Shotgun is ready to blow imps to bits with working features such as break-action, removable and loadable shotgun shells, and a moving trigger, all demonstrated in this fun video. Target has today revealed all six of the LEGO sets from the upcoming LEGO Overwatch line, based on the hit team-based video game from Blizzard. 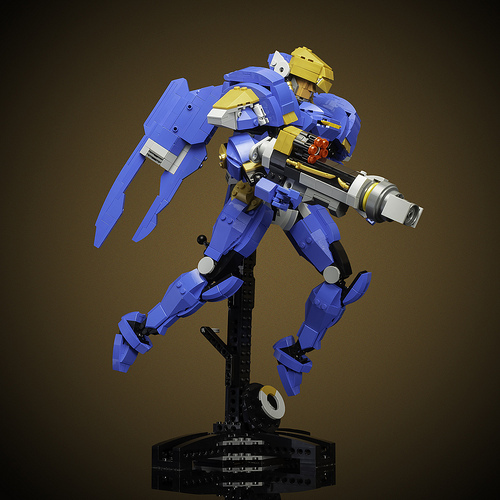 This follows the early release of the small-scale mecha 75987 Omnic Bastion from Blizzard’s online store. The full-size sets include minifigures of iconic characters such as Tracer, D.Va, and more. We’ll bring you an update when we have more information, though we can confirm January 1st availability for these sets. EDIT: The sets are now available for pre-order, shipping January 1, 2019. 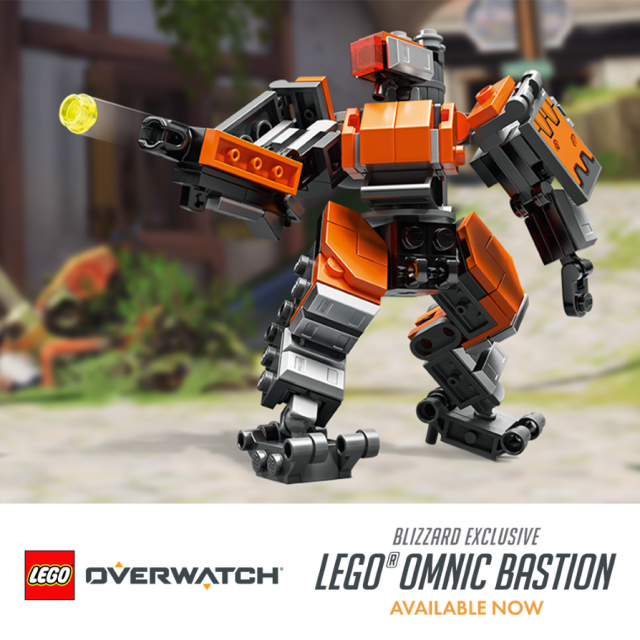 Blizzard Entertainment, the studio behind multiplayer first-person shooter game Overwatch, unveiled an exclusive, limited edition LEGO Omnic Bastion building set today, available for purchase online in the Blizzard Gear Store and later on-site at BlizzCon 2018 on November 2 and 3, 2018, in Anaheim, California. Bastion is a hero in Overwatch with two modes: Recon, and Sentry. The Omnic skin reflects the appearance of Bastion units during the Omnic Crisis, and is not the default tan and green skin Overwatch players begin with in game. The set also includes Bastion’s bird companion, Ganymede, which can be perched atop Bastion’s shoulder plate. 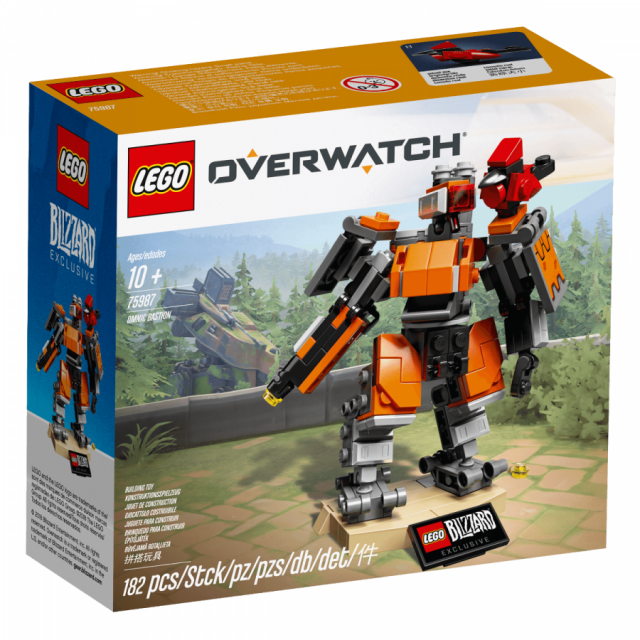 LEGO 75987 Omnic Bastion retails for $25 USD and is available now in the Blizzard Gear Store online. 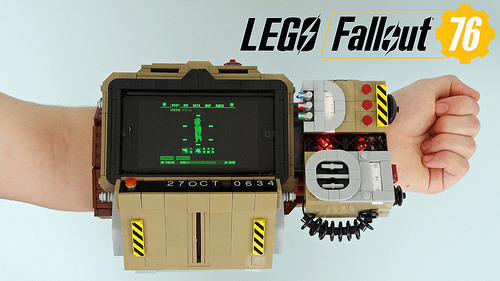 Sharing his excitement for Fallout 76 this month, LEGOParadise built a believable, wearable LEGO replica of the Pip-Boy 2000 MK VI (a wrist-mounted device that carries personal information and acts as Fallout’s menu, for the uninitiated). The retro-futuristic 1950s aesthetic is brought to life with a fantastic brick-built Geiger counter, radio, and coiled wire in a fittingly dark tan color shell. For full immersion, the screen houses an iPhone with the Fallout menu. LEGOParadise shows the LEGO Pip-Boy in full detail and demonstrates functions such as glowing vacuum tubes and opening holotape deck in this video. 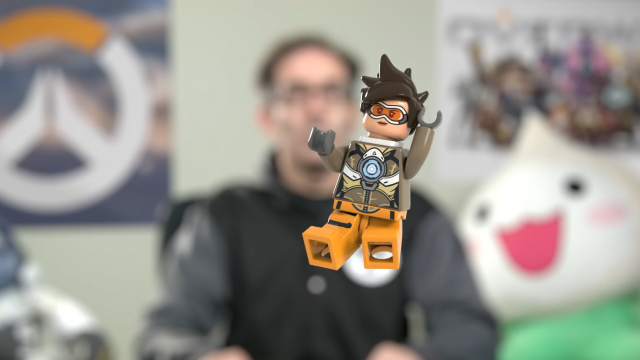 A brief video teaser featuring the Blizzard’s Overwatch game’s lead designer, Jeff Kaplan, assembling a LEGO Tracer minifigure has just been published via the developer’s official social media channels. 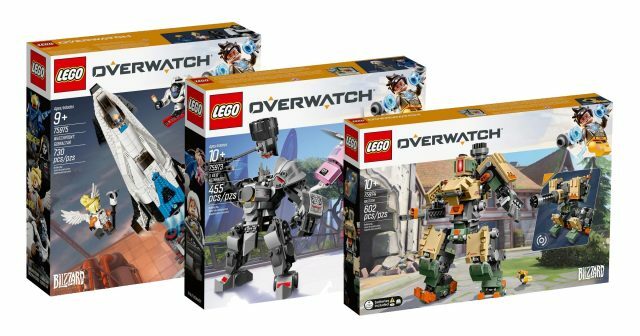 This appears to be the first official look at the upcoming LEGO Overwatch sets since Activision-Blizzard’s announcement of the licensing back in May. Unfortunately, no official release date has been given yet, but we can’t wait to see all the new LEGO sets! Edit: The new Overwatch sets are available for pre-order, shipping January 1.